In the Season Three premiere of Shadowhunters secrets abound as the Shadowhunters and Downworlders try to get back to normal after Valentine’s death. Clary struggles with keeping her secret about Raziel’s wish, while Alec pushes Jace to come clean about whatever Jace and Clary are hiding. Luke must use tough love to keep his secret hidden from Ollie who is on a war path for answers. And Magnus hides his true feelings about his new position in the Warlock community from Alec. Meanwhile, Lilith sets a plan in motion in New York City as Simon spends time in the Seelie Court. Air Date: Tuesday, March 20 8 pm on Freeform. SHADOWHUNTERS - "On Infernal Ground"
SHADOWHUNTERS - "On Infernal Ground" - In the season three premiere, secrets abound as the Shadowhunters and Downworlders try to get back to normal after Valentine’s death. 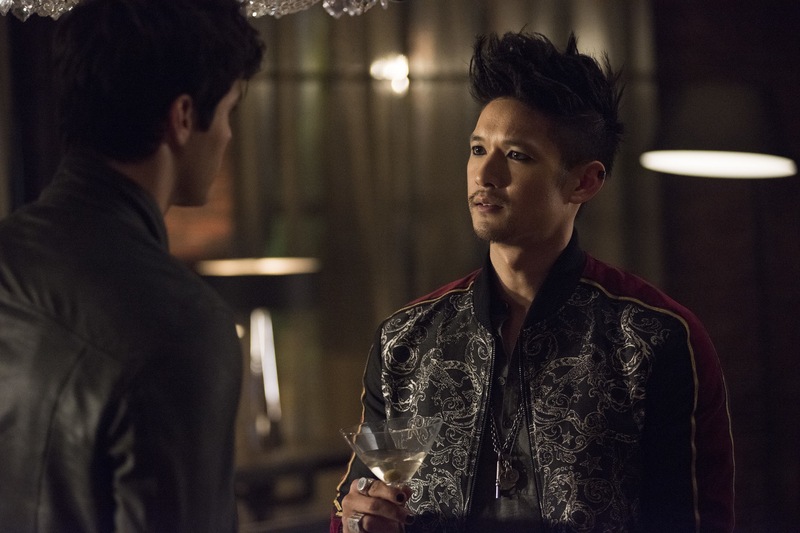 This episode of "Shadowhunters" airs Tuesday, March 20 (8:00 - 9:00 P.M. ET/PT) on Freeform. (Freeform/John Medland) MATTHEW DADDARIO, HARRY SHUM JR.